If You Tired Of Standard Passport Covers With A Boring Designs, Gili Stylish Printing Passport Case Help You To Add Some Variety In Your Life. Enjoy The Personalized Design And Unordinary Prints Of This Holder That Will Make Your Documents Your Personal Decoration. It Is Usable, Functional And Handsome Accessory That You Never Get Tired Of. No, You Are Not Dreaming! Don't Get Fooled By Our Passport Case's Size - It Can Fit Everything You Need! Due To Its Stylish Design, Our Product Can Also Be Used As A Wallet For Your Everyday Activities - For Those Of You Who Love Multifunctional Gadgets! Miracles Happen Whenever Functionality Meets Fashion Standards - Don't You Agree? Keep All Your Travel Documents And Essentials Easily Accessible In One Safe Place! Whether You Are On A Business Trip, A Family Vacation Or A Backpacking Trip Around The World, This Beautiful Passport Wallet Is A Must-have On The Road. Built In Mezzanine Safeguards Your Personal Information Against Identity Theft. Give Family And Friends The Gift Of Worry Free Travel. 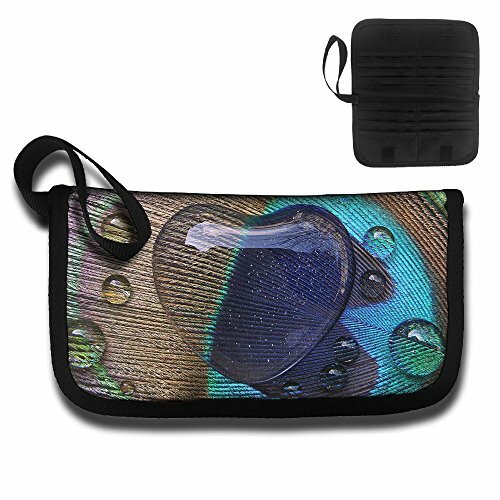 This Pouch Is The Perfect Gift For Seasoned Travelers, Business Travelers, Students, Hikers And Outdoor Enthusiasts. Protects Your Valuables & Identity - Built In Mezzanine Safeguards Your Personal Information Against Identity Theft. Waterproof: The Inner Material Of The Outside Pocket Is Waterproof, This Printing Passport Case Will Protect Your Items Even In Rain Day.fits Snugly In Your Pocket, Backpack, Purse, Or Carry-on Luggage. Designed For Safe International Travel - Invaluable For Airports, Crowded Market Places, Buses, Trains, Sporting Events And Festivals. Keeps Everything In One Place. If you have any questions about this product by Gili, contact us by completing and submitting the form below. If you are looking for a specif part number, please include it with your message.